AIDS Action Committee announced that Mayor Martin J. Walsh signed the Paris Declaration on Fast-Track Cities at City Hall today making Boston the 12th U.S. city to join the global campaign to end the transmission of HIV through expanded local efforts. 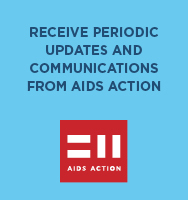 In signing the Paris Declaration on Fast-Track Cities, Walsh committed to taking the steps needed to ensure that by 2020, 90 percent of Boston residents living with HIV are aware of their status, 90 percent of those diagnosed with HIV receive treatment with antiretroviral therapy, and 90 percent of those in treatment achieve “viral suppression”—meaning they cannot transmit the virus to others. The Massachusetts Getting To Zero Coalition, which comprises 35 community-based organizations and health centers statewide working to eliminate the transmission of HIV, estimates that the city of Boston has already met the first objective of the Fast-Track Cities Initiative with 90 percent (approximately 5,884 people) of those living with HIV aware of their status. The Coalition estimates that 72 percent of those diagnosed with HIV are engaged in care and 70 percent have achieved viral suppression. The Fast-Track Cities Initiative was launched in Paris on World AIDS Day 2014. There, mayors from 27 cities in 50 countries signed the Paris Declaration on Fast-Track Cities committing to do what was necessary to end the transmission of HIV in their locales. The foundation of the Fast-Track Cities Initiative is to test more people for HIV and get those diagnosed with HIV into treatment so they may properly manage their health and thus reduce the spread of the virus. The 11 U.S. cities already participating in the initiative are Atlanta; Baltimore; Denver; Miami; New Orleans; New York City; Oakland, Calif.; Phoenix, Ariz.; Providence, RI; San Francisco, and Washington, D.C.
Jose Zuniga, president and CEO of the International Association of Providers of AIDS Care, one of the coordinating agencies of the Fast-Track Cities Initiative, was present for Mayor Walsh’s signing of the Paris Declaration along with leaders from the Getting to Zero Coalition including Sciortino, Ken Mayer, M.D. of Fenway Health, and Bisola Ojikutu, M.D. of Brigham and Women’s Hospital.